Countdown to Toy Story 2: Buzz Lightyear to the Rescue! Time until Toy Story 2: Buzz Lightyear to the Rescue! release day! 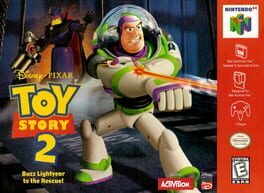 Learn more about Toy Story 2: Buzz Lightyear to the Rescue!